It's ABOUT THE VIEWS from this Gulf Access Canal Home in a quiet, well-established SW Cape neighborhood. 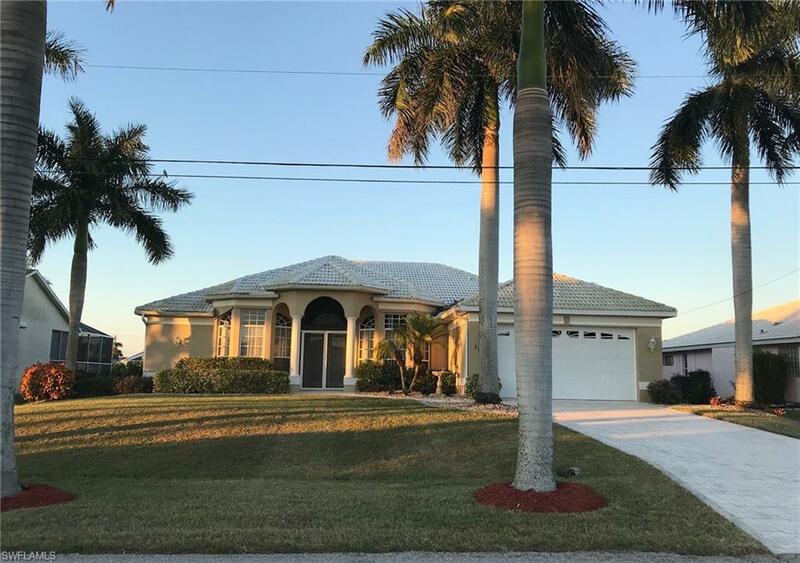 Located on the 240 foot wide Maxwell Canal, the wide water views of these intersecting canals from this well-constructed and maintained home are spectacular! Whether sitting in the family room, master bedroom, or looking out from the large picture window in the dining area, the relaxing open water views are maximized. This Gulf Access Fully Furnished Home, offers 3 Bed + Den/Office with French glass doors, Open large Kitchen , Great room, Large inside laundry room. Outside is fantastic with a large covered screened lanai with pocket glass sliding doors for inside outside living and beautiful Heated pool and pool bath, Large boat dock & lift, upgrades 2017 new AC. POOL HEATER and Stainless Steel Appliances , Don't miss this one !!!!! Very close to CAPE HARBOR!!!! !